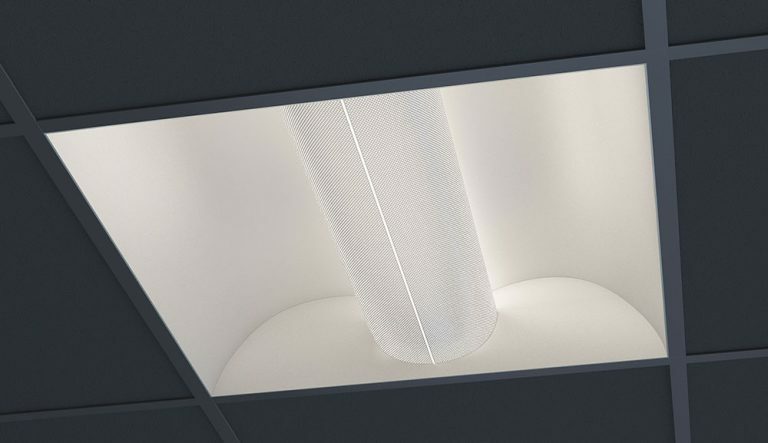 Premium grade, recessed, high performance direct/indirect architectural luminaire with split basket, perforated lamp shield. For use in indoor applications where a T8, T5, T5HO or Biax luminaire with soft, low-glare illumination and modern styling is required. Available in 1×4, 2×2 and 2×4 configurations.